Of course you want to Wow your guests when they enter your wedding venue or ceremony location and what better way to do this than by using fresh flowers and foliage to decorate your wedding venue. Decorating a wedding venue with Bunting and pom poms instantly changes the feel of the room but the use of fresh flowers creates instant impact and a feeling of elegance and expense. Statement floral Topiary Trees can be used both inside the wedding venue and outside the wedding venue; they can be used to decorate a Church, a Marquee, A hotel and even the bride or grooms house. Topiary Flower Trees not only provide impact but they also provide a beautiful photo opportunity when placed strategically when decorating a wedding venue. We love the dramatic impact they can have when placed on either side of the church door, both sides of the altar, at either side of the top table or behind where the happy couple will be sitting. Topiary Trees are both easy and very economical to make especially when using foliage from your own garden or even a friends garden. When seasonal flowers and your own foliage is used Large Topiary Flower trees can be made from as little as €40 each. 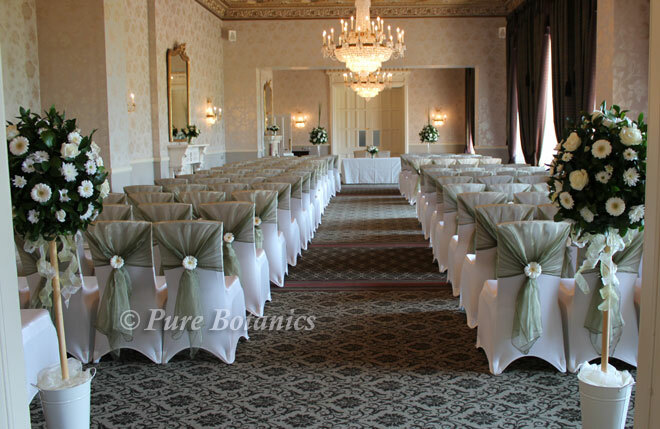 For Christmas Weddings, Topiary Floral Trees made from Spruce and Holly can change the look of any venue. 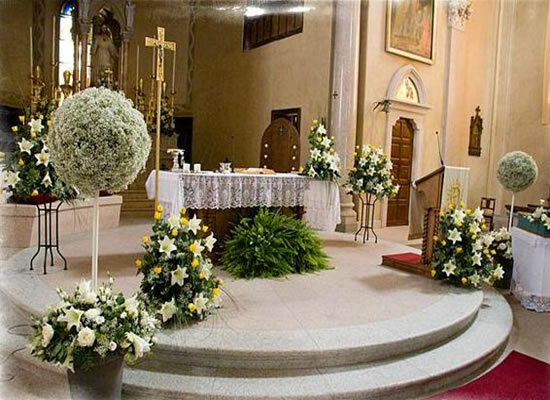 Topiary Flower Trees can be transported from your Church or Ceremony location to your reception venue so getting double the value. 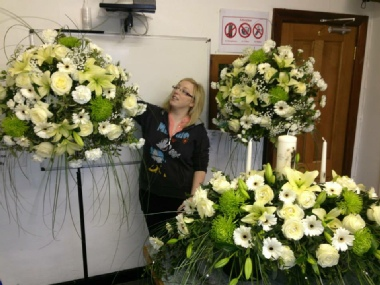 Decorating your wedding venue does not have to be stressful and does not have to be decorated the evening before the wedding; Topiary Flower Trees can be made up 7-5 days in advance of your wedding. 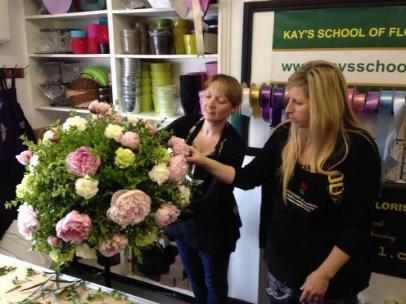 Learn how you can decorate your wedding venue with dramatic topiary floral trees at Kay’s Flower School , they have a variety of wedding Flower courses to choose from. Wedding Receptions are big elegant parties, but decorating them does not have to cost the earth to create a romantic setting for your wedding day.